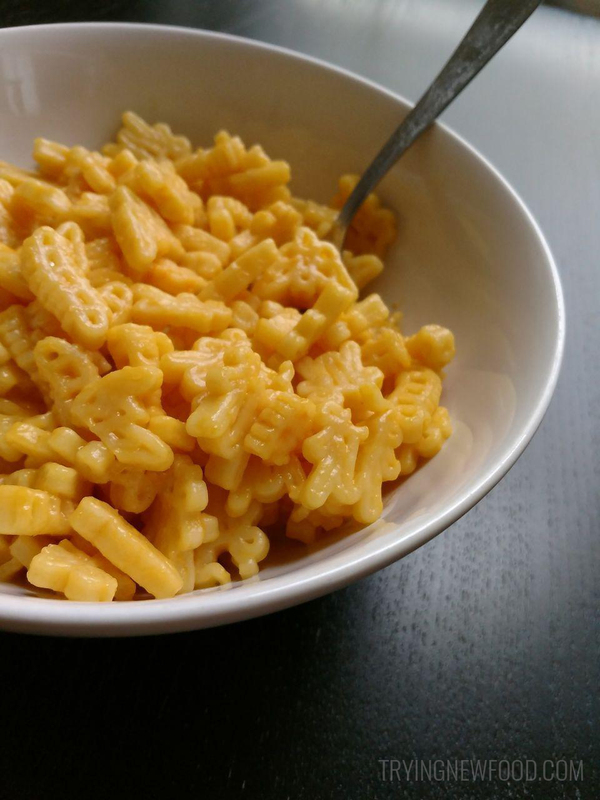 Disclaimer: we normally make our mac and cheese without butter, so there was no butter added to this. As we were walking around Target, we decided to look for new products to try and found this. I love being able to say, “Let’s eat some crazy bugs!” It made for some very amusing reactions from people listening who didn’t realize we were talking about this mac and cheese. After my husband prepped this and brought it to the table, I had high expectations because it looked sooo perfect. Although the bug shapes were pretty cool and the name is hilarious, we probably won’t be buying these again. It lacked flavor and the pasta was pretty tough. In the end, we added shredded parmesan cheese to it in order to elevate the flavor so we could finish it. I’ve had more luck with the Annie’s brand of mac and cheese. Out of all of the bug shapes, I was able to make out a caterpillar and a butterfly. Another one looked like a flattened butterfly. Probably was supposed to be an insect of some sort. If you’re interested to try them out for yourself, here’s a link to the Back To Nature Organic Crazy Bugs Mac & Cheese at Target, which are only $1 at the time of this post (Trying New Food is a participant in the Target Affiliate Marketing Program, an affiliate advertising and marketing program that pays advertising fees to sites that advertise and link to Target.com).